Taking pictures of the diamond black 318is beauties on Sunday reminded me of something. 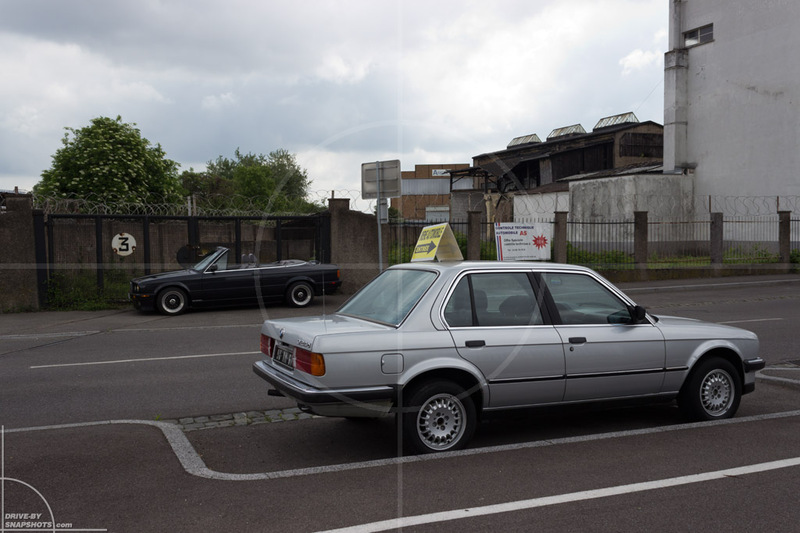 A couple of weeks ago, while looking for Drive-by Snapshots in Strasbourg, I found an almost immaculate BMW E30 324d in an industrial area. 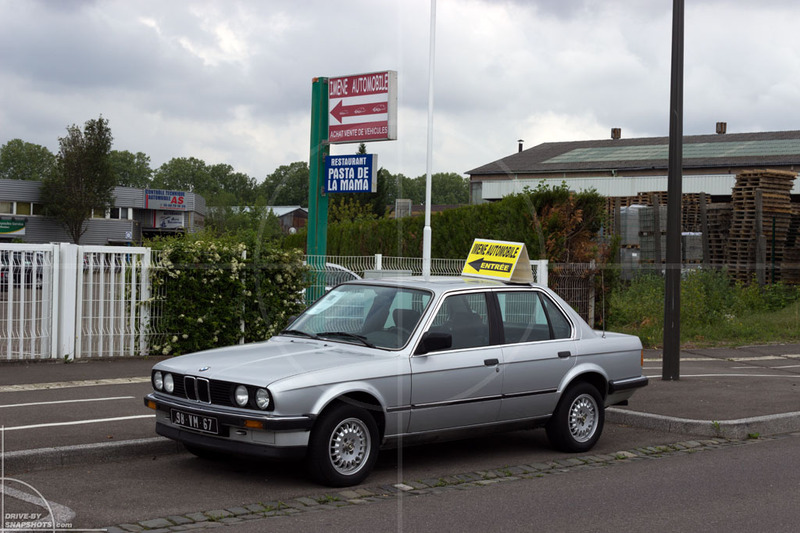 The sign on the roof pointed to a used car dealership I would have otherwise missed. 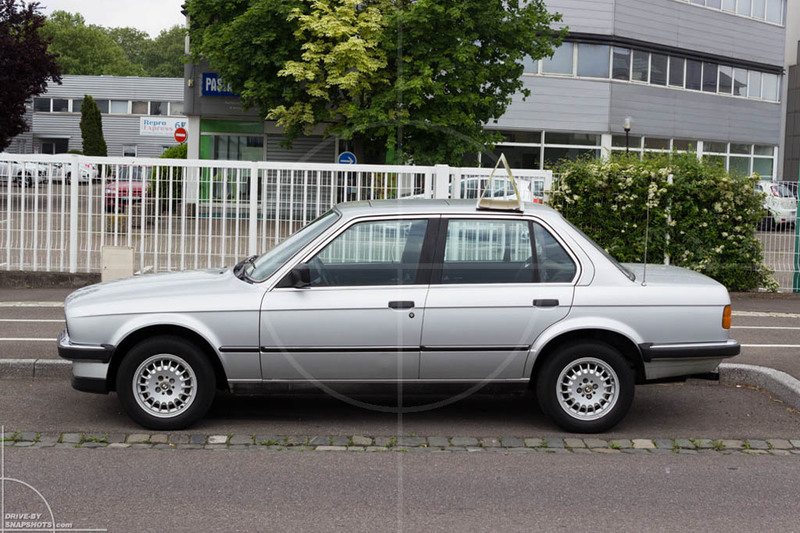 The silver car was for sale, but an old diesel isn’t really desirable to own in Germany due to high taxes… unless it is 30+ years old. Well this particular birthday will be celebrated in the not too distant future.